In the wake of the controversy involving President Donald Trump sharing an edited video disparaging a Muslim lawmaker’s remarks about the terrorist attacks of September 11, 2001, it’s important to note that there’s still no indication that Trump himself fulfilled promises to donate to charities aimed at helping rescue workers who responded to those attacks. 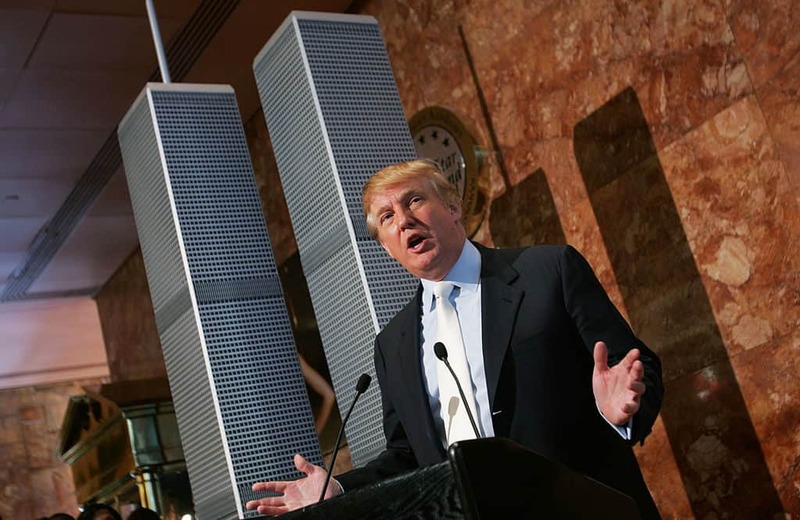 Less than a month after the attacks occurred, Trump appeared on “The Howard Stern Show” and made a promise to donate $10,000 to the Twin Towers Fund. Yet if Trump did give, there’s no record to indicate that he has done so, leading many to conclude that the promise has yet to be fulfilled nearly 18 years after the attacks. City Controller Scott Stringer investigated hundreds of pages of sealed records involving whether Trump or his nonprofit organization, the Trump Foundation, made any donations, following an open records request to his office. They were unable to find any lines within those pages that demonstrated a donation from either. “For the periods covered by the audits, we did not find any record of a donation from Trump himself or a Trump entity to either the Twin Towers Fund or the New York City Public/Private Initiatives Inc,” Stringer concluded, according to a 2016 report from the New York Daily News. It’s possible that Trump still gave. Stringer noted he could not definitively conclude that he didn’t, given that the records he investigated for only went for the period of time one year after the attacks occurred. But Trump has often gloated about giving, without proving he has (a release of his personal taxes would settle the issue, but Trump has so far refused to make those records public). Tax records from the Trump Foundation show that the group has only made one charitable donation to any 9/11 organization — and a controversial one at that, a $1,000 give to a Scientology group to administer controversial methods to help rescue workers. That donation came about in 2006. The Trump Foundation did make a $100,000 donation to the 9/11 Museum, according to NBC News, but only after he was called out for not making sizable donations in the past during his presidential campaign. The donation to the museum, while benefiting that group, is a different type of donation than was promised by Trump in 2001 to help rescue workers. Some during his campaign also suggested the Trump Foundation gave instead to the Red Cross. However, no record of that giving could be found within their tax records either.